There have been sporadic reports during the past month about the LG KM570, and every time the device was named in a different way – Cookie Gig, Cookie Music, Surf 4GB and so on. Finally, the phone has received an official announcement from LG in Bulgaria under the name of Cookie Gig, and we can tell you that all we've know about it has been confirmed. When it comes to the various names, none of them is wrong, as this model will not be announced by the company globally. It is aimed at the European market and will probably have its specific name in each country - something we have witnessed before with other LG models. 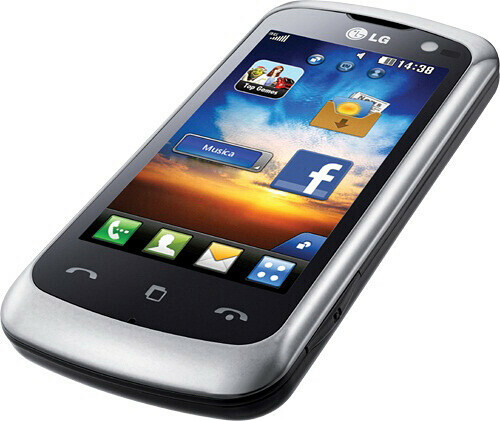 In short, the LG Cookie Gig KM570 is an affordable music-oriented phone with plenty of built-in memory (4GB) and a 3-inch WQVGA screen, implementing the resistive technology. The phone packs a 5-MP camera that you can use to take pictures, and then quickly upload them on the web thanks to the HSDPA 7.2Mbps support. The rest of the specs include a 3.5-mm jack, microSD slot and Bluetooth. You can learn more about the LG Cookie Gig KM570 by reading our full review. all these cookie phone are hella same things.